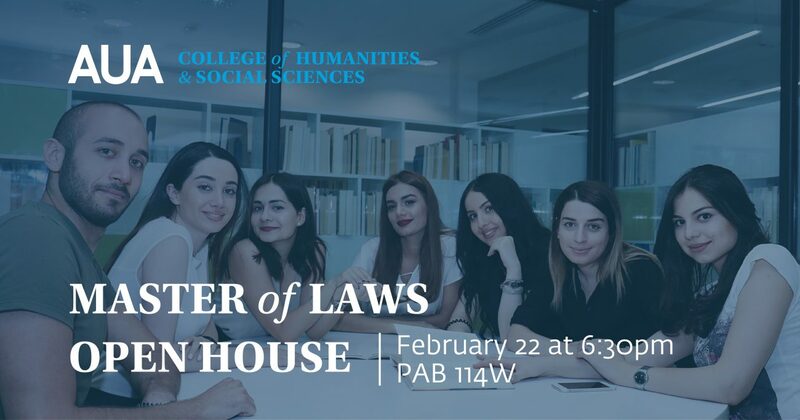 Join us on Friday, February 22 for Master of Laws (LL.M.) OPEN HOUSE for Fall 2019 admissions! Learn about the LL.M. Program, the admissions process and requirements, course offerings, financial aid, campus life, career opportunities and much more! Ask questions about the application process and understand the selection process in greater detail. And most importantly, meet faculty, staff, current students and see what your university life will look like at AUA.